At the start of the year, I had it all sorted; blank calendar templates which I’d fill in with various activities and writing tasks to complete. A physical diary I’d write detailed information that reflected the calendar overview. That worked really well right up to the VBL, then afterwards, it all fell apart. 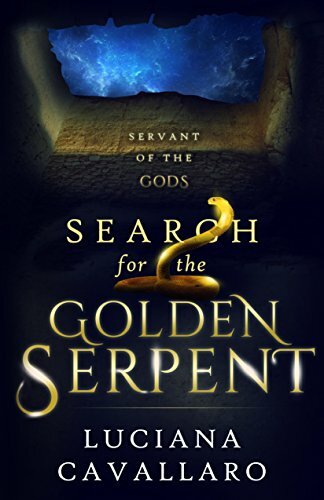 I have three writing projects underway, of which one is the third book in the Servant of the Gods series, and the other two are new genres that I am dabbling in. Yet, as much as I am excited about these projects, I haven’t found my ‘juju’ (thanks George of the Jungle for that phrase). Having said all that, I am working with my book designer for the interior layout of a print version of my book, The Labyrinthine Journey. This is taking a considerable amount of time, as I can only respond to her emails and check the document once I get home from work. The up side is that my book may be ready in time for Christmas, and what a great gift books are for that person who loves to read! So, with that, I want to say thank you for sticking by me and I will get back on track! And if you have any tips on moving forward, I loved to hear from you. The secret to moving forward is to not beat yourself up about the past. What you did is exactly what you needed to do, and if that’s take some time for other things, then that’s okay. Sorry, Luciana, I don’t have any suggestions for you. I’m having the same problem. I think that happens to a lot of writers, Luciana–that they are exhausted after a big push. I felt that way in May, after the 30 days of blogging with A to Z. And now, I’m so happy to have a week off and two at Christmas. You’ll come back strong, I know that, because you have so much left to say. Thank you so much, Jacqui. High praise from such an accomplished writer. I guess that is part and parcel of being an independent writer/publisher. Taking a “time out” after a big event like the VBL, especially when the Christmas season is right around the corner, is a very good idea. Look at it as a time of mental rejuvenation. A peaceful mind is empowering. It creates new wisdom and expands a powerful base for a healthy mind, body, and spirit. Your mind is fatigued. It’s racked all day with work, anxiety, hyper-focus, and high performance. You need to make time to chill, to just be and not do. Besides, it’s not like the Christmas season is a romp in the park. It can be quite hectic, too. And through it all you are working on a print version of The Labyrinthine Journey. And it may be done by Christmas?! You are a very remarkable woman. You asked for tips on moving forward. Look for ways to pull your mind into positive thoughts. One great way is to watch a movie — preferably something funny — or watch a favorite TV show. Don’t muddy the experience by trying to multitask; you’re not going to get the same benefit. I know you love to read, it can be like “comfort food” for the mind. Getting together with friends is always a good way to distract the mind from stress. It’s getting warm in Perth and something that always refreshes me (and my mind) is taking a walk and being one with nature. Mediation and or yoga are also good for calming mind and body. I love that line: ‘make time to chill, to just be and not do’. That is very hard for me to do, but I am going to give it a go! Din’t worry Luciana. You have accomplished so much, you need a well-deserved break. When the time is right it will hit you and you will just start writing. Best of luck getting the book out for Christmas. Andrea. Thank you, Andrea! I am waiting until the school holidays where I can get back into some writing, but also try to relax. Maybe you may just need some time away. That happens to me. I build fortitude with walks in places that are truly beautiful. We have a beach house in Eureka, which means I can overdose on two of my favorite walks–redwood trees and waves. I also go to Tahoe and other spots in the Sierras/Cascades, since they’re only hours away. I can’t explain it. Standing beneath McArthur-Burney falls as it thunders away or visiting Yosemite Valley heals something inside me. And okay, those places are spectacular, but when I lived in southern California I made do with the local mountains (beaches were never in short supply there). Or museums can do something similar. An afternoon spent with the Impressionists grants me a certain serenity. Those locations sound lovely. I do enjoy bush walks and along the beach. I find them peaceful and restorative. I just need to make time to there. Some of our more stunning locations are a day or two drive away, but I will make time to go to the closer places. It is no wonder you are exhausted. You put a lot of energy into the launch of your book and it takes time to rejuvenate after such an effort. Right before I launched my first book this year, I became very ill because I put too much pressure on myself to get everything done. This was my body’s message for me to take it easier and learn from the experience rather than trying to control it. Taking some time off to do something you love might inspire you again. When I get a writer’s block, I sometimes delve into research or travel to locations that I will write about to spur my creativity. Sometimes, story ideas come when I’m doing something mindless like gardening, walking, driving, or listening to music. I’ve gained a lot of respect for fellow authors because they have the ability to push forward while others give up. Hang in there, Luciana. You are a talented author and your energy and passion will return. It is amazing the amount of time, energy and of ourselves that we put into our writing and business side of authorpreneurship. It is a huge job. Sorry to hear you were so unwell leading into your book launch. I don’t know about writer’s block though that may happen once I start back into writing. I am not very motivated. I need to take time out, like you and others have suggested. It’s been a busy year, plus my students have published their first creative writing magazine. Great, but stressful too. I love to take photos, so that is what I will do once we finish the school year.